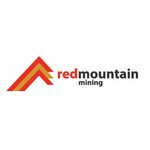 Red Mountain Mining (ASX:RMX), a company listed on the ASX with a market cap of $2.6 million, has just done a deal which values its main project at about $9 million – and the potential revenue from its project’s production could run to $165 million a year. That last figure is just a touch pie-in-the sky (being the current gold price multiplied by stated annual project production of 100,000 ounces over five years), but the first two are much more solid. RMX, a nano-cap gold miner to-be, has just received good news from its strategic funding partner, which should unlock funds to immediately progress its Batangas Gold Project. It’s a deal which has been in the pipeline for a while, but with its JV partner Bluebird Merchant Ventures now just days away from listing on the London Stock Exchange (LSE), RMX will now see the money flow – as it, and Bluebird, edge one step closer toward a Definitive Feasibility Study (DFS). Bluebird recently published an approved Prospectus for admission to the LSE, with part proceeds of the associated placing to fund the Batangas DFS, more drilling of high grade targets and permitting of the gold mine development, and hopefully fast forwarding this project into production. RMX’s overall aim is to become a self-funded gold production and discovery machine, with a stated production aim from Batangas of 100,000 ounces over 5 years. This project could generate up to $165 million of revenue or up to $60 million of cash flow, subject to confirmation when the DFS is soon finished. Still, despite these numbers, this is a small miner that still needs to raise money to develop the mine so apply caution before deciding whether or not to invest. The chain of events here to turn RMX from a nano-cap with a dream into a fully-fledged gold producer is underway. Get to producing gold, and all important cash flow. With funding now unlocked via its UK partner listing, and with a current price of just 0.1 cents per share, this is very much a ground floor entry. In this article, we’d like to take you through why the Bluebird’s listing and the funding from that matters so much. But firstly, let’s understand a little more about RMX’s project. At a glance, RMX’s Batangas Gold Project is located on the southern tip of Luzon Island It splits into two main areas – the Lobo MPSA and the Archangel MPSA. According to JORC 2012 Resources Study on the project, Batangas holds 2.97 million tonnes of gold ore with a grade of 2.4 grams of gold per tonne on an indicated basis, and inferred figure is 3.22Mt @ 2.1 g/t. 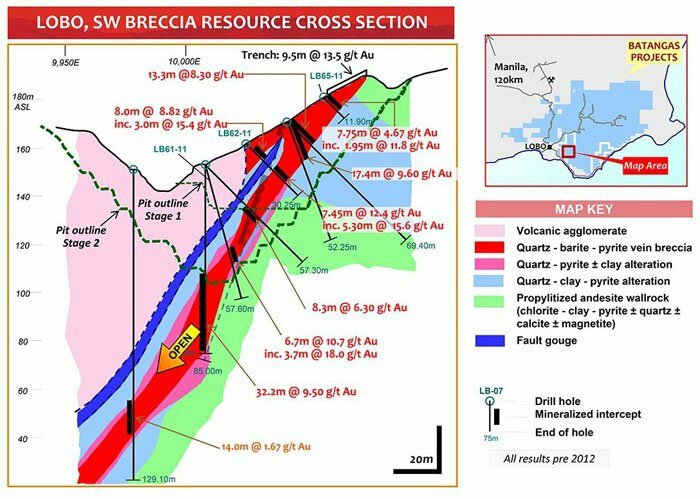 This includes the very high grade South West Breccia resource, which currently stands at about 221,000 tonnes grading at 6.3g/t – with exceptionally high grades from surface. Add it all up and you get an overall resource of 6.19Mt, for a total of 444,000oz. At the current market price of $1650/oz., that 444,000oz. has a potential revenue value of $732 million. However note that like all commodities, the price of gold fluctuates, so apply caution and consider a range of factors if thinking about investing, not just large projected revenues. The above numbers are a demonstration of how large the gold resource is, rather than an indicator of how much the Joint Venture is ever likely to see after mining and processing. According to a Scoping Study on the project, RMX is looking for a much more realistic $US67 million ($A88.7 million) in operating cash flow, with $45 million in free cash flow over the first five years to be used for the project. Note that in return for its crucial early stage funding to get this project off the ground, Bluebird will eventually have the option to earn into the project 50:50, so that also needs to be taken into consideration if looking at potential revenue numbers. Full details on this can be read here . The above figures are from a Scoping Study and the initial results of the DFS. RMX will need to complete the DFS in order to take the offer to deeper-pocketed investors and bankers. That’s why its Bluebird deal is so vital. As we indicated above, Bluebird Merchant Ventures is an outfit listing in the UK, which has a plan to earn in for a 50-50 joint venture with RMX at Batangas. This will be done through Bluebird paying RMX cash to share ownership of Red Mountain Mining Singapore, which actually holds the project. As you may have suspected, it’s not buying in for free. Some time ago, RMX loaned a sum to Bluebird so it could chase a listing on the London Stock Exchange, giving it access to a suite of investors that RMX couldn’t reach without going through the arduous dual-listing process itself. RMX loaned Bluebird $US1.2 million ($A1.6 million) of the initial 25% buy-in price, which Bluebird will now repay to RMX with interest and costs. Once Bluebird is listed (which will be just a day or two away), it will be able to repay the loan in full, and in exchange take a 25% stake in the joint venture company that holds the Batangas Project in the Philippines. Here is Bluebird head Charles Barkley explaining the deal. Interestingly, $1.7 million for a 25% stake effectively values the project at around $A9 million. Remember, RMX has a market cap of just over $2.6 million when the stock is trading at $0.001. From there, the JV will fund on-the-ground activities such as doing the DFS, drilling and the needed permitting, according to their respective stakes. Bluebird, however, will have two options to take its stake up to 50.1%. Option A is for Bluebird to pay another $1.7 million before the DFS is done, and before September 30 this year. If it misses the deadline, then it has another bite of the cherry. Option B will involve Bluebird paying $3.8 million post-DFS and permitting, to bring its stake up to 50.1%. If this is the way Bluebird wants to go, it would have paid $US5.5 million ($A7.2 million) meaning the entire project will have an effective value of $14.4 million. That really does dwarf RMX’s current market cap of $2.6 million. This is where nano-caps can be a great play if you’re a risk-hungry investor. This value being realised is far from guaranteed of course, and you should always seek professional advice if you’re considering investment like this. So, the question is – where is Bluebird seeing the value here? Well, it may come down to the project itself. As you can see from the map at the top of this article, Lobo has the lower volume but the higher grade – and has subsequently been ear-marked as being first on the development slate. The play from gold miners is to get high-grade resource through the mill first as it generally costs less to process, and effectively bankrolls the bulk play higher tonnage, but lower grade, gold. The thing about bulk plays is that you need financial weight upfront to get to a stage where it’s profitable. We think if $2.6 million capped RMX took that offer to financiers, it would be laughed out of the building – but by focusing small-scale at the start it may just have a pitch which will find support. According to its latest estimates, Lobo holds a JORC-compliant resource of 385,000 tonnes of ore @ 4.9 g/t for 61,000/oz. on an indicated basis, with a further 219,000t @ 2.9g/t for 21,000/oz. of inferred. This includes the very high grade South West Breccia (SWB) resource of 221,000 tonnes grading 6.3 g/t. You may not be able to see the full detail there, but RMX plans to dig up the resource at SWB in two stages – the first being a pit down to just 30m. By staging development, RMX is taking a softly-softly approach to initial production, avoiding high capital expenditure until it needs to make the call. The gold’s not really going anywhere, after all. Meanwhile, Archangel remains a longer-term play. It has the larger resource thanks to previous drilling, so the majority of exploration work in recent times has focused on Lobo. The entire thing has a resource of 5.6 Mt @ 2 g/t for 363,000/oz. So the prize (at this stage) is at a lower grade, but it has good metallurgy and low cost to mine, and there’s potentially more of it in the ground. The game plan is to get Lobo happening first, and then move onto Archangel at a later date with the revenue driven by earlier commercialisation at Lobo. While RMX already has a good resource in the bag, that hasn’t stopped it from undertaking further exploration in order to beef up its resource come DFS time. At the start of September last year RMX told the market that trenching on an extension of its South West Breccia (SWB) main zone had in effect firmed up a 40m strike length extension . Chip sampling and trenching brought up grades including 7m @ 20.5g/t Au, 7m @ 11.5g/t Au including 1m @ 50.9g/t Au, and even one hit of 151.6 g/t Au . All the results were from surface, meaning that it’s very shallow depth and therefore easier to mine. 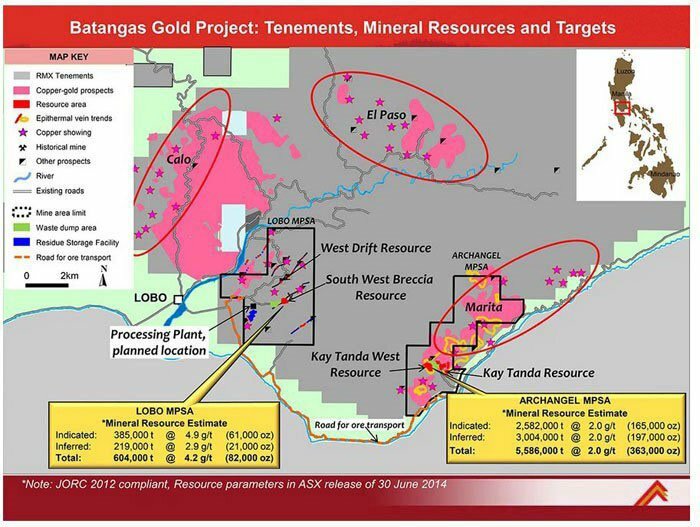 As the company undertakes drilling for the PFS, this will be a key exploration target. Remember, this resource hasn’t made it into the book yet. Meanwhile, it’s also thinking about another target at Lobo, which is shaping up as another “SWB sized target”. That’s what RMX is thinking about with Tamarind, and investors will be hoping this turns out as tasty. The Tamarind target is in the bottom left of the image above, and while it could be promising, this is very early stage so it is prudent not to ascribe any hard value to Tamarind just yet. So far the main driver for Tamarind has been soil anomalies, but rock chip sampling has brought up hits as high as 3.5m at 25.9 g/t and a rock chip grading 31.7 g/t gold and 7.9 g/t silver. The Bluebird deal will allow it to sink two initial drillholes at Tamarind, which will give investors more solid data to work from. At this stage it’s not planned to add this upside to the DFS, meaning that when the DFS comes out there will be further blue-sky potential to take into account. The third exploration target on the slate has a tinge of silver and copper to it. Late last year, RMX told its investors that it had delineated a new target along strike from the West Drift resource at Lobo. It, however, isn’t just about gold – with the West Drift also characterised by silver and copper close to the surface. Lo and behold, RMX told its shareholders that results from Benito included: 4m @ 70.7 grams per tonne of silver, and 1.5m @227 g/t Ag, with 0.42% copper . However, there is high grade gold at depth. RMX will need to undertake further soil sampling at Benito before firming up drill targets – and this could come as it ramps up towards the PFS process. When announcing the listing of Bluebird onto the LSE, RMX managing director Jon Dugdale said that the deal “releases the shackles on the project”. This is exactly what this feels like, to be honest. The deal has been in the works for a while, and for the RMX faithful and for curious onlookers it seems now the patience is about to be rewarded. RMX is getting ready to drill, pursuant to a DFS and more than likely a resource upgrade as part of that process. Those are all price catalysts, and could provide some action for investors. Although, we should caution that they’re catalysts and could go in either direction, so keep this in mind and also consider your own personal circumstances before choosing to invest. This is when it all starts to come together for RMX. It has done some initial exploration on beefing up its resource, which as it stands is enough for a viable project. With Bluebird listing, RMX will have the financial weight behind it to put the whole process into overdrive rather than just poking around. Over the next few months you can expect RMX management to talk more about exploration , the DFS process , and a possible resource upgrade . After this, it’s all about securing finance and then getting initial production under way. The Bluebird listing clears the decks for this to happen – so keep on watching.